Some nice little treats. – Fleur's tips for Sweet Treats! Fleur's tips for Sweet Treats! Tips for lovely sweet treats, healthy and sugery. 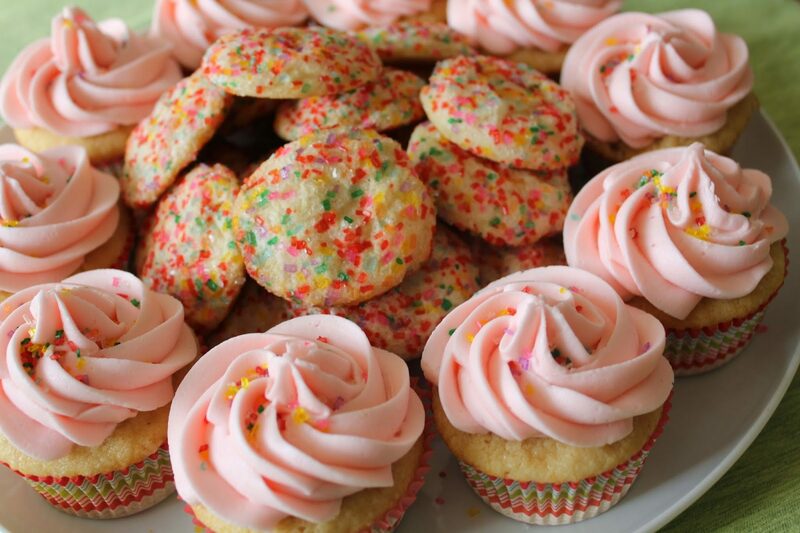 So, long story short, these sugar cookies are a great transition to Spring. They are bright and floral, but can be enjoyed with a nice hot cup of tea. With a little nook cut into them, they rest effortlessly on the side of a coffee cup. You can make them with any shape, really, and I look forward to making a festive batch in the distant holiday season when hot cocoa comes back into my life. All of our guests bit into these sorting cupcakes to find out which Hogwarts house they belong to. As proud Hufflepuffs in our every day lives, we were reluctant to abandon our yellow for Slytherin, but it was fun to venture into the dark side for a night. Divide the icing into as many colors as you want to use, and mix in the dye. Try to look at leaves for inspiration; you want the colors to be more natural looking and less neon, otherwise the cookies will look more like rainbows than leaves. Previous PostPrevious How to make delicous gooey chocolate fudge!